Some are in it purely for the joy of writing. Others, on the other hand, are fueled by the desire to build and grow their personal brand. However, if you’re part of the group who fancy the idea of making money with your blog, then you’re in for a rude awakening — none of the possible monetization opportunities will work if you don’t have any readers. It doesn’t matter if you plan to sell an infomercial product or earn commission as an affiliate marketer. You need to learn how to increase blog traffic if you want your site to generate a dime. As a blogger, you need to have a clear understanding of what your blog is going to be about. When it’s time to get serious, you need to carry out some keyword research — one of the fundamental branches of digital marketing. Don’t worry; you won’t have to spend hours staring at graphs or endless spreadsheets to complete this step. All you need to do is get an agile keyword research tool like Long Tail Pro and you’re halfway done. It’s really simple — just provide a “seed keyword” that’s relevant in your niche to uncover hundreds of profitable keyword opportunities. At this point, you might be thinking: What am I supposed to do with these keyword suggestions? Other than using some of them as topics for your next post, sprinkling them all over your content will make your blog more search engine visible. Once you have these keywords set on-page, it’s time for you to start your link building campaigns to rank in the SERPs — that is, if you ever plan to take your blog to the next level. In the previous step, we highlighted why you could use a tool like Long Tail Pro to bag a couple of topic ideas for your next post. However, you need more than just a catchy title to make sure your content offers a significant boost in traffic. Remember that whenever you find a topic to write about, there are hundreds if not thousands of similar posts already published. What you need to do is to look for a unique angle that’s also proven to garner attention. Again, this can be done with the help of Long Tail Pro. 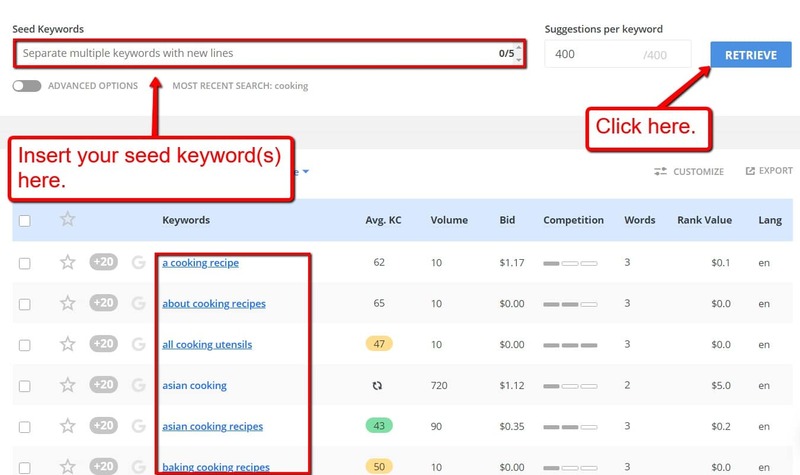 When performing your keyword research, you need to pay attention to two particular metrics: volume and average KC or Keyword Competitiveness. The volume metric is rather self-explanatory. It measures the average monthly search volume that a particular keyword gets in search engines. On the other hand, the average KC is based on the current SEO performance of your website. You can get more accurate readings by adding your domain URL to your Long Tail Pro account. For new blogs, the maximum average KC you should go for would be 30, which indicates low to medium competitiveness. It may take a while to find a keyword suggestion that strikes a balance between the volume and average KC. But once you do, you’ll end up with a content idea that will surely turn the heads of your target audience. It’s not rocket science. If you want to build traffic to your blog, you need to expand your online reach. Alternatively, you can leverage the reach of other influencers so they can bring traffic straight to you. 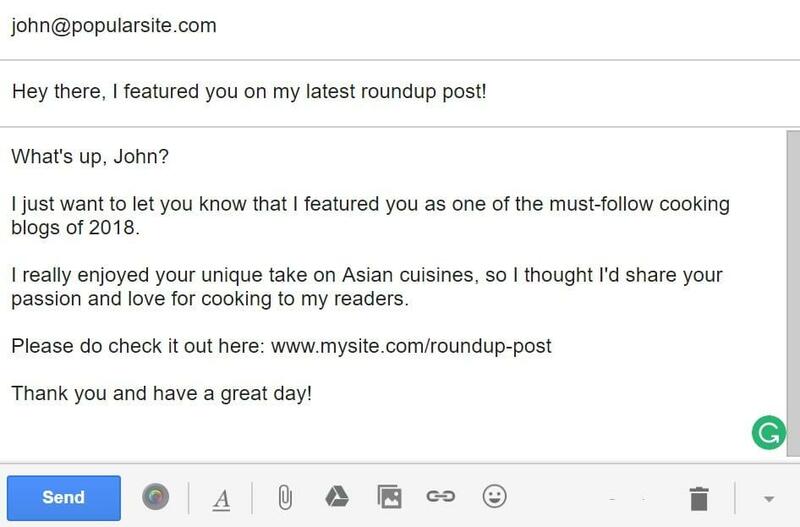 A simple yet effective method is to write a roundup post that links to prospective influencers and then perform email outreach. 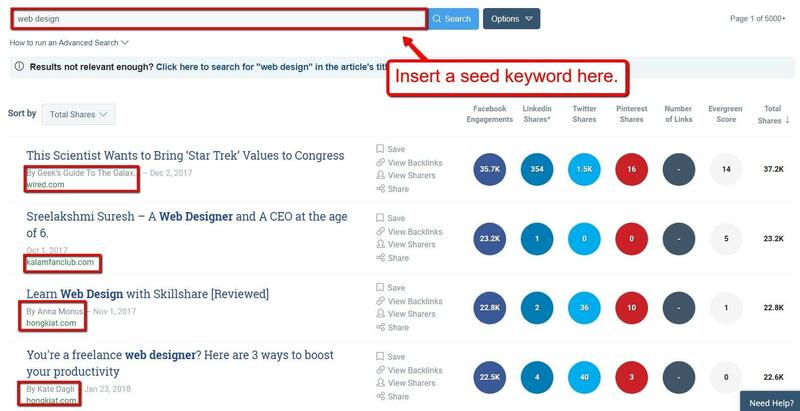 For this, you can start with a content research tool like BuzzSumo to search for influencers. Can’t decide which influencers to target? Stay calm — BuzzSumo also measures social media engagement metrics to help you determine whom to prioritize. When it comes to roundups, the more influencers you have, the better. Not only will you be able to leverage each of their reader bases collectively, but you also get to maximize the value you offer your readers. Once your roundup post is done, you simply need to share it with your prospective influencers, which will encourage them to share your post as long as it’s of quality. This is the part where you need to learn about influencer outreach. 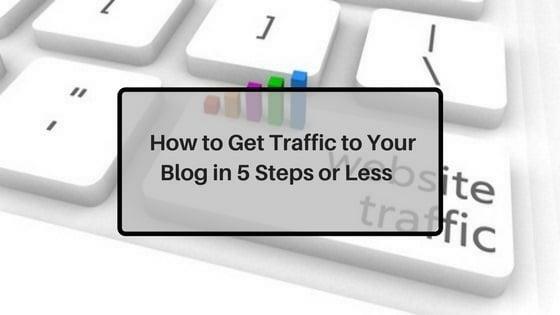 But first, here’s one more strategy that can make use to get more blog traffic. When asked the question, “how to drive traffic to your blog,” a lot of marketers turn to one time-tested strategy: the Skyscraper Technique. If you want to garner tons of traffic to your website, you need to provide the best content possible for your audience. That’s exactly what the Skyscraper Technique can help you achieve (and more). 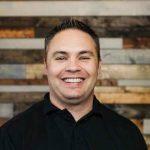 Popularized by Brian Dean as a link building strategy, the Skyscraper Technique involves looking for popular content, turning it into something better, and then promoting it to the right people. Once your Skyscraper content is done, it all circles back to launching an influencer outreach campaign. This time, however, you need to begin by identifying who linked to the original post that you repurposed in your Skyscraper content. Finally, the secret to a successful influencer outreach campaign is to be authentic. Keep in mind that these influencers are often flooded with outreach emails from other marketers on a daily basis. As such, they can smell a template-based email from a mile away. If you want to initiate a fruitful connection with them, you need to treat them with the respect they deserve. Start by handcrafting a personalized email for each one of them. For the purpose of promoting your roundup or Skyscraper post, this should be more than doable. While the template above can certainly be improved in a lot of ways, I promise you that it is “deadly” enough if you want to get good results out of your outreach efforts. The strategies outlined above include the most lucrative traffic-building tactics used by bloggers today. Utilizing any one of them should yield great results for your website — no matter how young it is. Regardless of your niche, you should be prepared to invest time and energy in traffic-building if you want to turn your blog into a cash cow. As you can see based on the points that we covered, the strategies you can put in place to get more traffic doesn’t have to be expensive. You just need due diligence, commitment, and to follow tried and tested traffic-building tips (just like what we’ve covered), and you’d pretty much be good to go. If you’re looking for a powerful keyword research tool to help you find the best keywords to target in your industry, then click here to claim your free 7-day trial now! 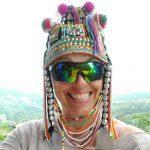 Indeed, these are strategies that will help generate traffic. But they have to be used correctly. Otherwise, they won’t yield the desired result. Great article, being a newbie in this online world you have given me some great info to work with and learn more about. I do have a question about number four on your list as one point king of confused me about the outreach email. Are you saying that your example shown of an email outreach template is a bad one or do you mean it will get “deadly” results meaning a positive result or a negative result? It’s a good template, but you’d need to make it your own with adjustments. These instructions are very precise and accurate. Link building through outreach programs and guest posting is the best possible method to boost the reach of your content. All of this matters only if you have a quality content that is interesting or informative. Thank you for this article, this was a great help!